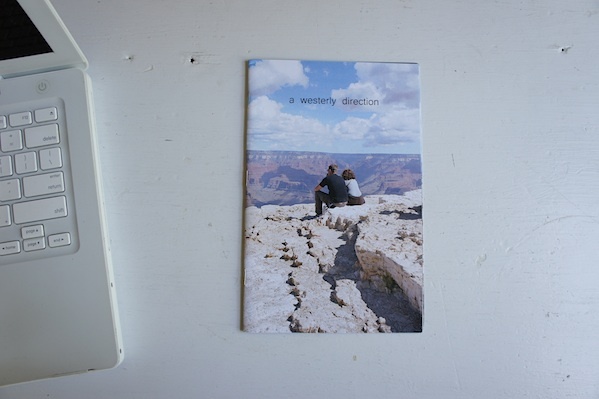 Summary: “A Westerly Direction” displays scenes from a roadtrip across the Continental US wherein I explored ideas of distance, travel fatigue, wanderlust, and the linkages between place, home, and identity formation. Re-shuffled after the journey has ended, the images represent a constructed narrative which evoke the vaguely unsettling tension that accompanies a search for self-discovery by way of travel. Being photographs of an atmosphere more than a particular place or moment in time, they describe a longing and a quest for the strange and familiar landscape. Published on May 10, 2012 1:20 pm.